After you create a website the first thing you wanted, is to improve your website ranking right? But for that your need quality backlinks. So you must be thinking how to get backlinks right. If you're the regular reader of SolveMyHow then you might have noticed that since my last few post I'm writing about SEO Search Engine Optimization and ways to create free SEO backlinks. In my last post i.e Top 5 Fastest Free Online Backlink Checker Tools I had explained the importance of backlinks and how much important role it plays, if you wanted to rank high in Google search results. Before we start to create free backlinks I just wanted to clear 2 link building strategies i.e NoFollow and DoFollow backlinks. NoFollow links doesn't count by Google and it won't improve your search engine ranking. So that's why in this article we just focus on creating dofollow backlinks. 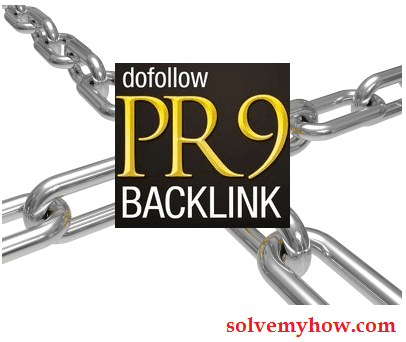 So, lets quickly see how to build backlinks from PR9 sites. Google+ is one of the leading social media website with page rank 9. Its pretty easy to get dofollow backlink from G+. WikiPedia is a free encyclopedia. It has huge traffic and its alexa rank is 6. So just Go ahead and create a free account with wikipedia. Edit your profile and add your site link in signature part. Though external links (backlinks) are nofollow in wikiPedia but it is also important as it is coming from PR9 and alexa rank 6 site. wordpress.com is the PR9 blogging platform that you can definitely use to get free backlinks. This is free wordpress blogging platform. So you just have to create a free account with wordpress.com and have to publish the post of 300-500 words which contains your blog's link. So, this is the simplest way to get free PR9 backlink. WordPress.org is the premium (paid) version of wordpress.com . But don't worry you do not have to pay anything to get backlink from wordpress.org . According to the recent Google update wordpress.org is PR9 site. Now, go to WordPress Support Forum and create your account. While registering insert your website URL eg:- www.SolveMyHow.com . Now, to get more traffic be a supporter and solve queries of WordPress users by giving them the link of your blog post as an answer of their queries. Fill your information and in "Homepage" enter your blog's URL. Click on Register and verify it. That's all. You've just got the PR9 backlink for free. Opera is the also one of the most popular browser of the world. You might get surprised, when I tell you that it also has page rank 9 and getting backlink from opera is also as easy as getting in Mozilla. Though opera is not used as much as Mozilla used, but still it is used by many people across the globe. So for getting backlink from opera, just register yourself. 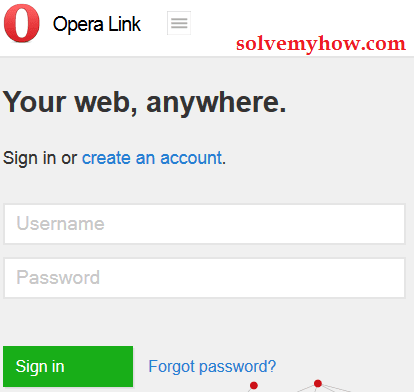 After that go to "Opera Forums" and post any problem or query by leaving your blog's link. P.S Opera's backlinks are nofollow but it is also important when it is coming from opera. Yahoo answers is an amazing way to drive huge traffic on your blog. As opera, yahoo backlinks are nofollow but still it is also important as many people go on yahoo answers daily to solve there queries. So, you also create your account with yahoo answers and try to answer few question by leaving your suitable post link and in some time you will definitely observe huge traffic on your blog. P.S :- Don't spam, else your account will be banned ! Now post some genuine looking problem or problem which you are facing with your blog's URL. So, these were the famous PR9 sites which provides SEO friendly, Google safe, dofollow backlinks. So go ahead, create free backlinks and boost your website's traffic. I hope you found this article resourceful and worth reading. Please do me a favor by sharing this article with your Google+ and twitter friends. You can also subscribe for SolveMyHow newsletter to get free updates about blogging, WordPress and SEO right into your inbox. Please do let me know if you know any another PR9 site providing dofollow backlink into the comments.